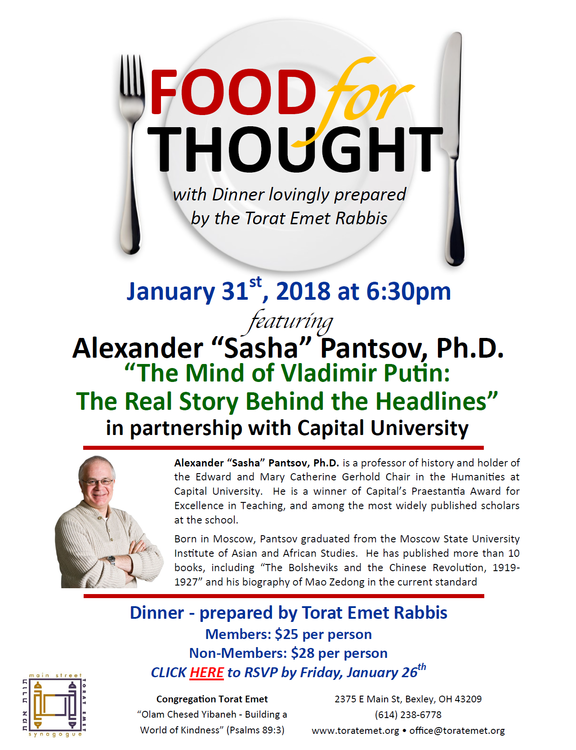 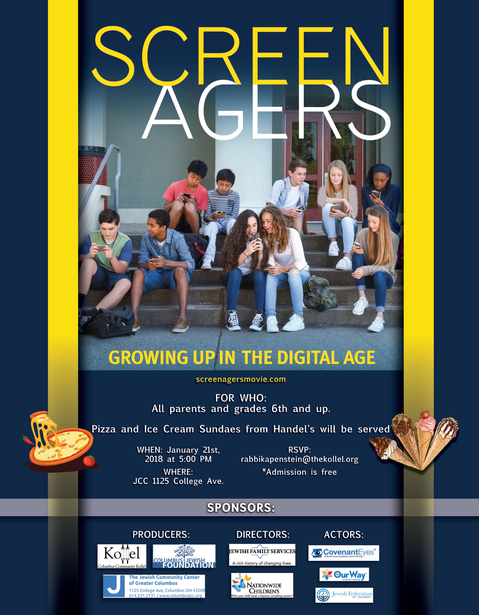 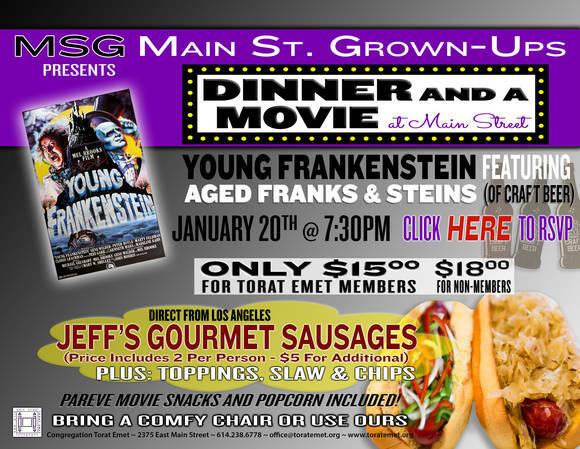 Food for Thought: Dinner & Lecture with Professor Alexander "Sasha" Pantsov, Ph.D.
RSVP by this Monday, January 15!!! 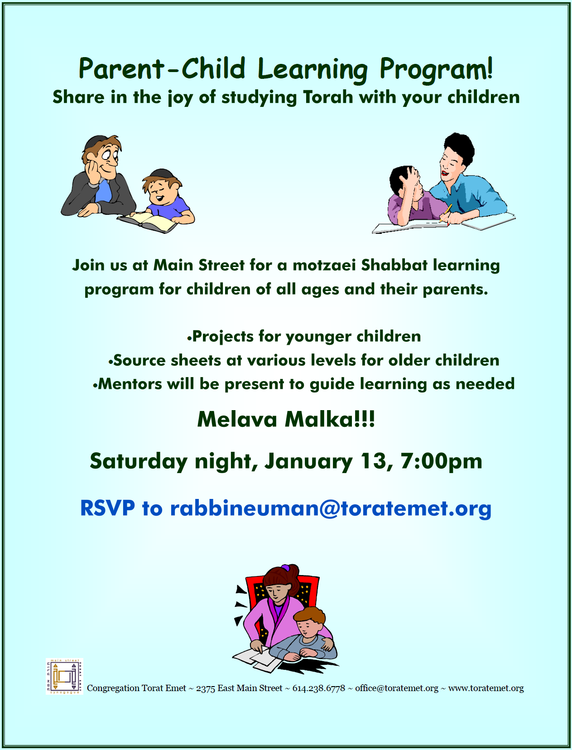 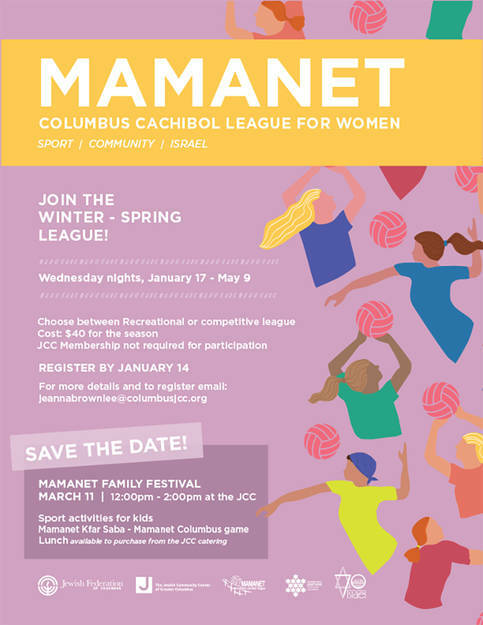 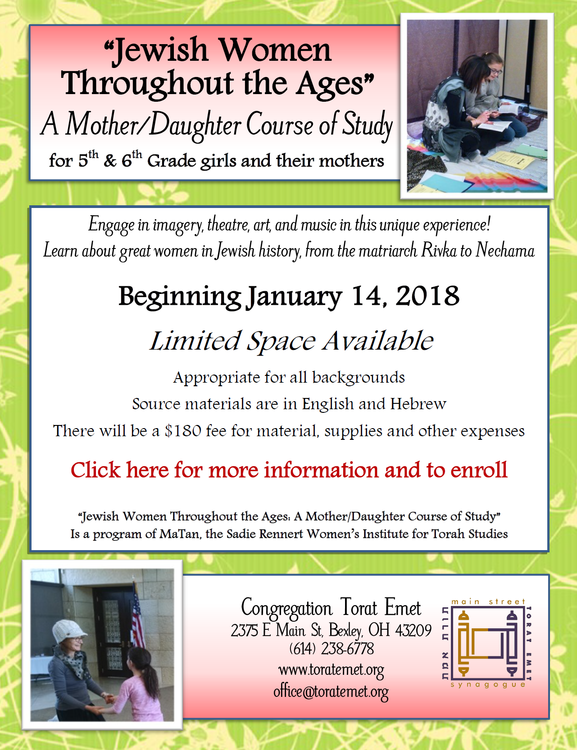 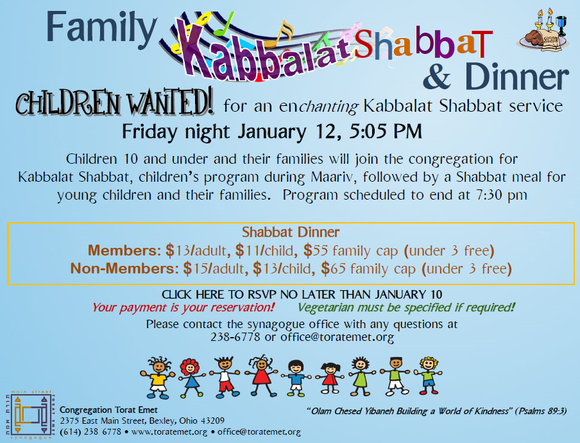 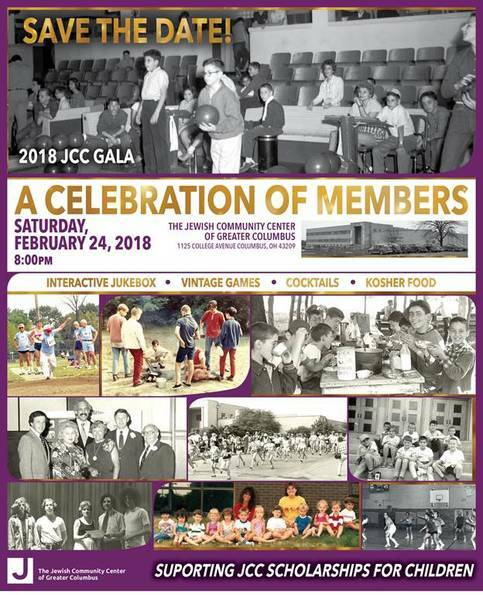 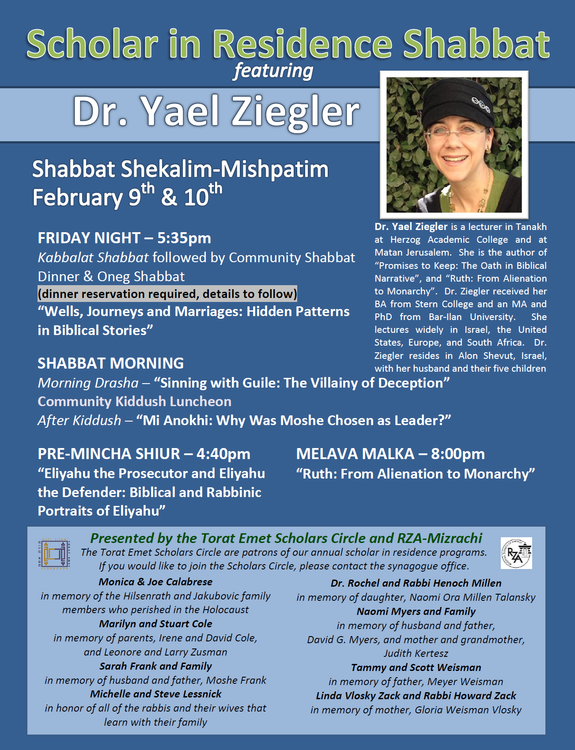 Family Kabbalat Shabbat & Dinner Children 10 and under and their families will join the congregation January 12th at 5:05pm for Kabbalat Shabbat, children's program during Maariv, followed by a Shabbat meal! 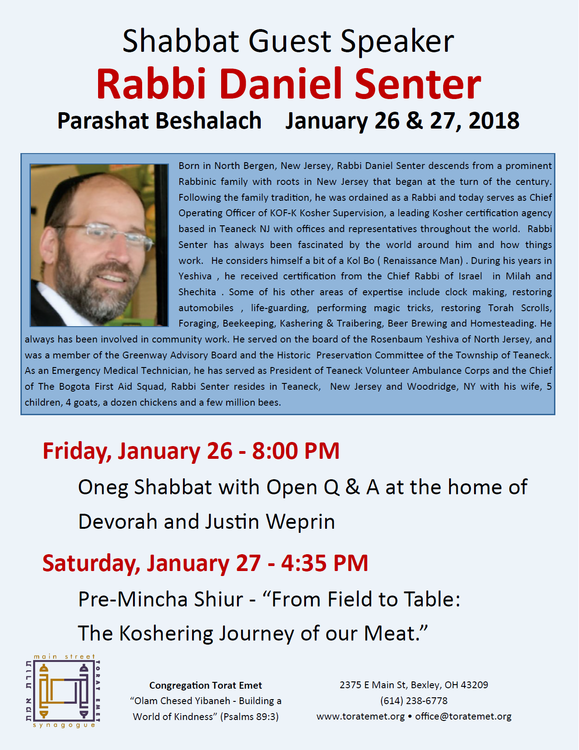 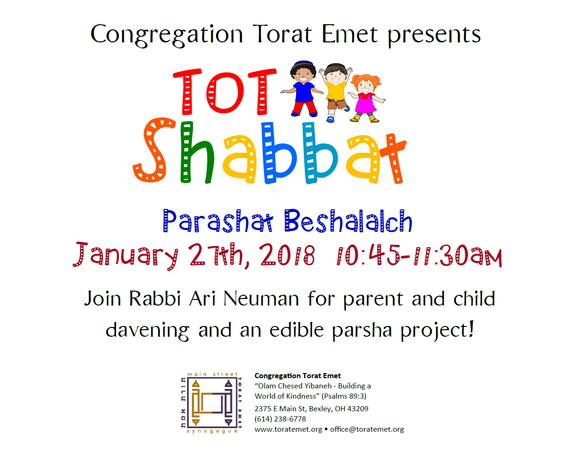 Tot Shabbat Join Rabbi Ari Neuman on January 27, Parsha Beshalach, at 10:45am for parent and child davening, and an edible parsha project!